The Southern Terrain and Epic USA just spent an incredible weekend Canyoneering for two days with a group of great friends from the travel industry. 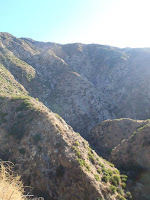 The most amazing part of the adventure was that we only had to commute less than two hours from our office to have all this fun in some canyons that are located in Southern California just 20 minutes East of Los Angeles. We began the adventure on Saturday morning with a group of 7 of us on a beautiful Southern California day with plenty of sunshine. The steep 2 mile hike up into the canyon quickly rewards us with a view of the surrounding hills and canyons and a glimpse at the city. As we hike on we begin to see the canyon we will navigate today and the sound of it's many waterfalls. About an hour into our adventure we cross the main ridge and begin heading down into the canyon and towards the creek that cuts through it. 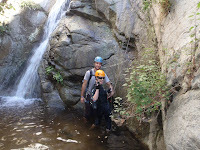 Everyone is very excited as we put on our harnesses and helmets and begin wading and sliding down through the canyon. The cool water feels great after working up a sweat hiking to the top of the canyon. After a bit of hiking, wading, sliding and down climbing we begin the first of many rappels of the day down a running water fall and into a nice pool. It's great to hear the joyful screams and yells as people slide into pools and lower themselves off of the top of 50 foot drops on a rope descending towards the next obstacle in the canyon. Everyone is amazed by how beautiful the trees, rocks and water is and even more stunned that we're just a stone's throw from the most popluated area in the U.S. After about a mile of rappels, waterfalls and pools we find a nice sunny spot to have a great picnic lunch and warm up a bit. We move on and tackle the second half of this canyon which rewards us with 3 more tall waterfalls and several smaller rappels along with plenty of sliding, splashing and wading. The day ends with a bit of boulder hopping and a short walk back to our cars. It certainly was a day full of friends, fun and lots of adventure and now we're ready to tackle the next canyon. 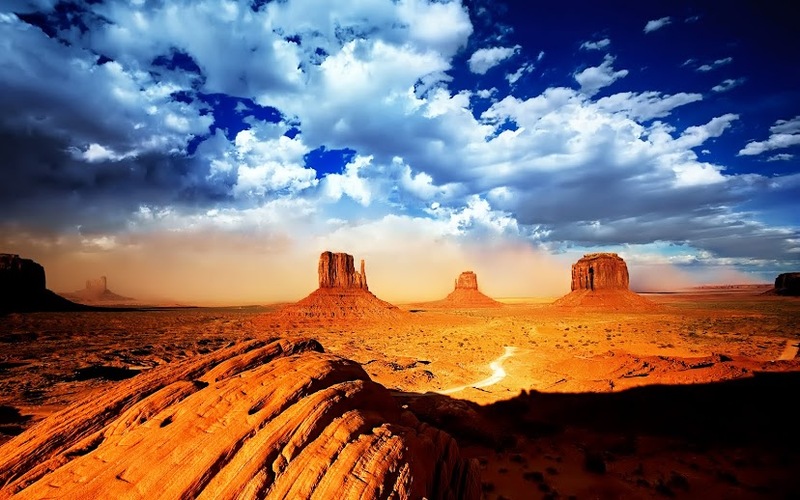 There are many more canyons to explore in this area and we can't wait to have more fun in them.